UUKL & UUKL7 (Canada) listed. 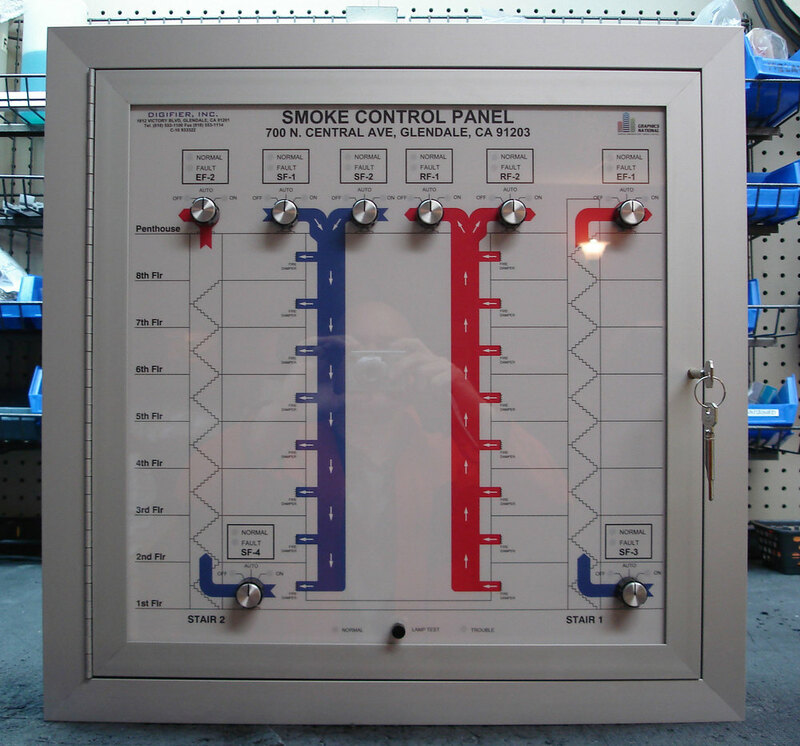 Graphics National Firefighters Smoke Control Stations/ Smoke Extraction Systems are designed for use in high-rise buildings and other facilities to manually control the fans and dampers designated for smoke removal during a fire emergency. 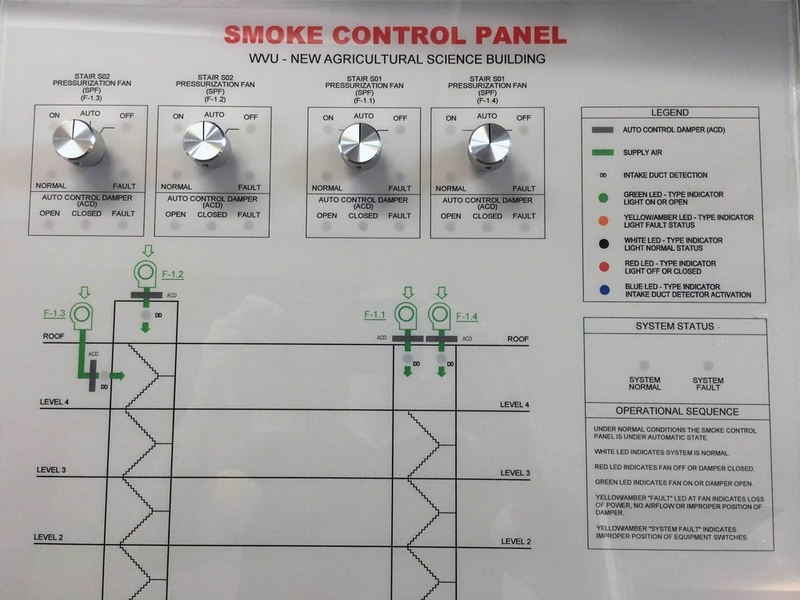 The panel is designed to work in conjunction with fire alarm and control systems that provides clear indication of the status and operation of the dampers and smoke control fans for responding fire department personnel. WHITE - fans, dampers - ‘normal’ status. RED - fans, dampers - ‘off’ or ‘closed’ status. GREEN - fans, dampers - ’on’ or ‘open’ status. AMBER - fans, dampers - ’fault’ status. 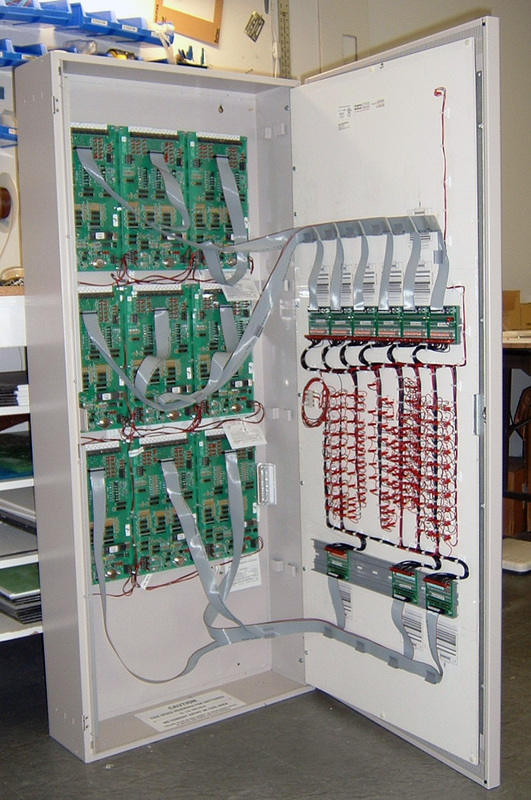 The switches and LED's are wired to customer supplied electronics or terminal strips which are sub-plate mounted in the enclosure. A push button switch is supplied for testing the LED's. 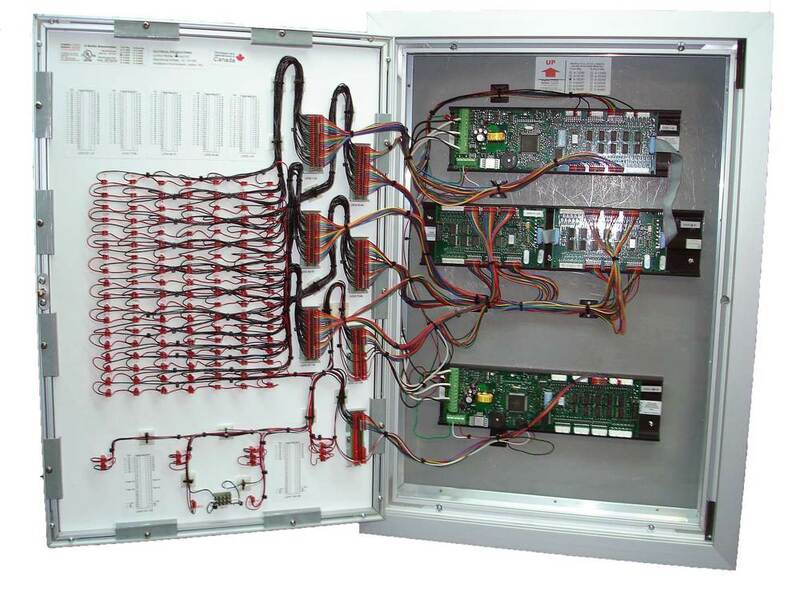 Dampers and Fans controlled with H.O.A (Hand, Off, Auto) switches. Status indication LED’s showing position of Damper and Fan switches. 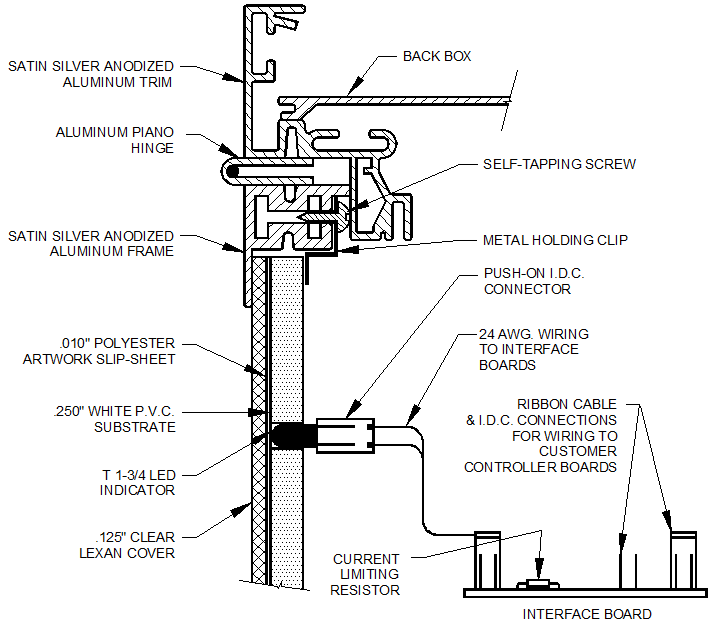 Quick-connect ribbon cables connect to customer provided driver modules. 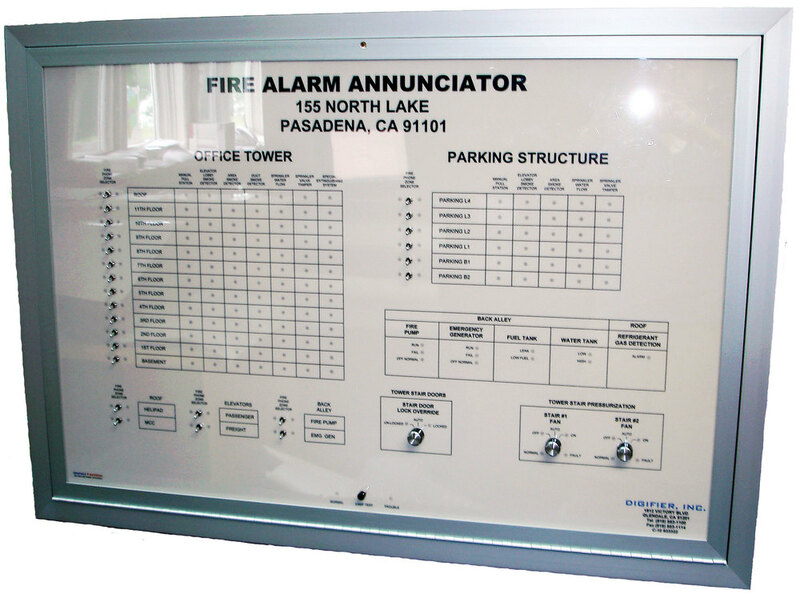 Anodized aluminum cabinets available in multiple sizes. Customer provided LED driver modules mount onto sub-plate. Master Enable Key Switch to operate H.O.A. switches. Colored-coded graphical areas like zoning, stairways, shafts, air ducts etc. 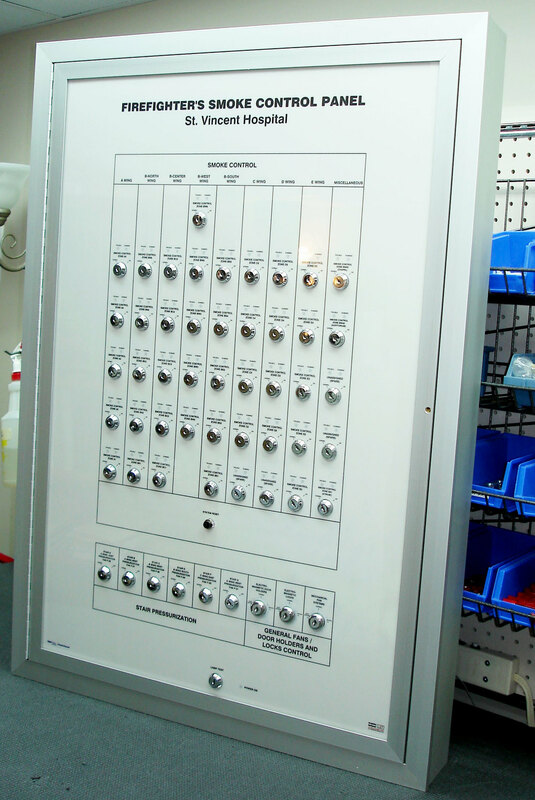 Common control switches available: Pushbutton, Keylock, Toggle, Rotary, Rocker.